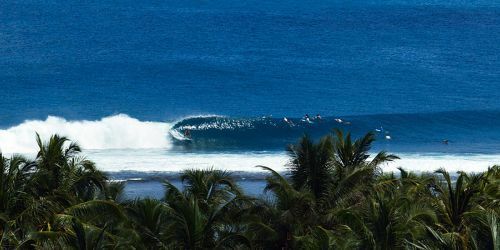 All inclusive package, including accommodation at Aloita Resort & Spa, plus Surf Guides among the fantastic spots of Mentawai, in Indonesia! Recommended to everyone, from the solo surfer, to the honeymoon couple, to the family who are looking for a surfing holiday, but also for diving and relaxation thanks to our SPA and DIVING centers. The Mentawai Islands are located about 150 kilometers west of the coast of the island of Sumatra, Indonesia. Aloita Resort is located north of the island of Sipora, one of the 3 largest islands that form the Mentawai archipelago. With an hour of speedboat from Aloita Resort, you can surf the 70% of the waves of the entire Mentawai archipelago and you can reach the famous Playground area. 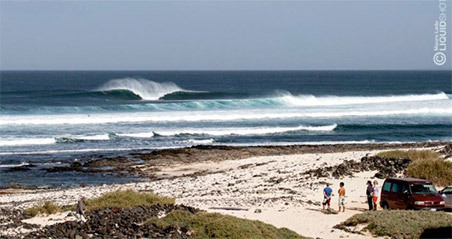 A few hundred meters from the Resort there are two interesting waves almost always at the exclusive disposal of our guests. 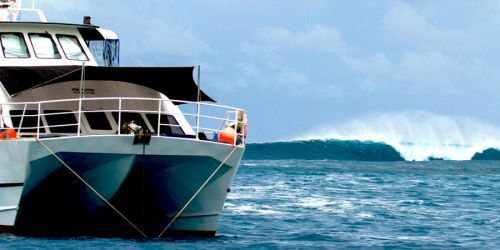 About 10 minutes by boat ... the famous spots of Telescopes and other famous waves of Mentawais. 1)February, 25% OFF over any accommodation 2)March, Book 7 nights and pay ONLY 6 nights ! Book 14 nights and pay ONLY 11 nights!!! 3)San Valentin: from 5th to 20th February 2012, 1 FREE massage in our SPA for all couples! 4)Easter in Aloita: from 1st to 15th April, 15% OFF over any accommodation+ 1 free Aloita t-shirt for everyone! 1 night FREE if you stay over 10 nights. 2 nights FREE if you stay over 15 nights. 10% OFF for Honey Moon + Romantic dinner on Beach + 2 massages in our SPA (Only for pack of minimum 7 nights). 15% OFF for Group of minimum 10 people (Only for pack of minimum 7 nights). 20% OFF for Group from 18 to 26 people (Only for pack of minimum 7 nights). Please note: Special Deals can NOT be combined. To reach Mentawai, we first recommend flying to Padang international airport (PDG) in West Sumatra, easily reachable from Jakarta airport (CGK) via indonesian domestic airlines such as Lion Air, Garuda, Citilink, Sriwijaya, or with international flights from Singapore (SIN) or Kuala Lumpur (KUL). Once you arrive at Padang airport (PDG), we advise you to stay at a city hotel (we can book an hotel for you at an extra cost). The next morning, after you wake up at the hotel, our staff will guide you to catch a speed ferry boat, which will take you to Tua pejat port, in Sipora island, in 3 hours of travel. In the port, our private resort boat will be waiting for you to take you to the resort. IMPORTANT: Arrival and departure from the resort must coincide with the fast ferry baot leaving Padang every Monday-Wednesday-Friday at 7am and arriving at Mentawai 3 hours later, returning from Mentawai is the same day at 15, with arrival at Padang at 18, fast shipping price 60 USD per person per way. As the fast ship departs at 7am, customers usually should get to Padang the day before. Extra Night at Padang Hotel: We can book a night at a hotel in Padang, with an extra cost (on request), all airport / hotel / port transfers, will be included. Taxy: It's the easiest and fastest way to move around Padang. When you arrive at Padang airport there will be many taxy waiting for you. Surfboards are not a problem for Indonesian taxi drivers. Most nationalities do NOT need a special visa to go to Indonesia (30 days on arrival). We always recommend to check the validity of your passport before traveling (at least 6 months validity from the scheduled return date) and to take various copies of your passport with you, if the original gets lost. There are not good hospital facilities in Mentawai, only small medical centers, we recommend traveling with an international travel insurance, in the emergency case of helicopter transfer to a bigger hospital.